In Malay, Bukit Merah means "red hill" (bukit is Malay for "hill", while merah means "red"). 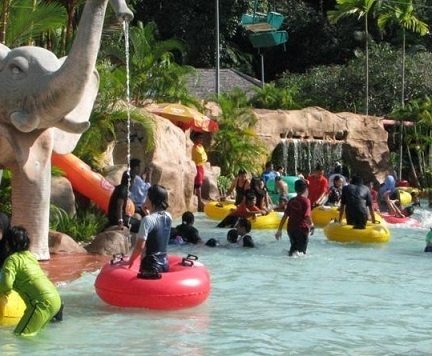 Bukit Merah Laketown Resort is Malaysia's premier northern lakefront resort, which offers many attractions and facilities- water park, eco-sanctuary and an orang utan island. 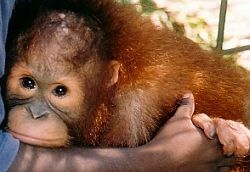 The orang utans come from Sarawak. 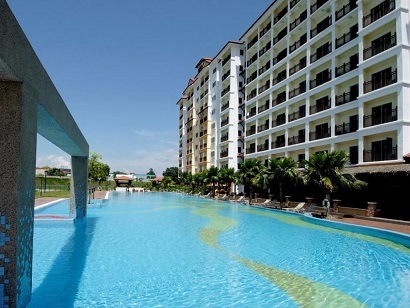 Also Bukit Merah has a range of accommodations themed-shopping and entertainment arena, banquet and function facilities as well as various lake and outdoor activities. Equipment such as boogie boards, floating tubes and other water play equipment can be purchased or hired from the "Surf Shack Shop". The Water Park is great if you enjoy swimming and cooling down by the pool side. 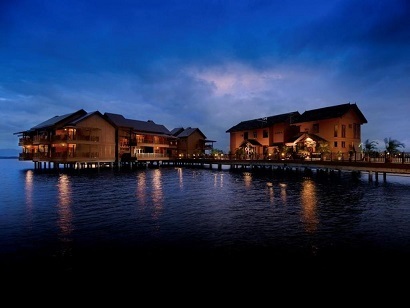 Bukit Merah Laketown Resort is a gem of a haven, overlooking a great expanse of shimmering water broken only by islands sparsely dotted on the lake. The Bukit Merah Lake with its scenic view has railroad passing through it. The scenery from the trains passing through this lake is said to be breathtaking. The lake is the main water source for the Kerian District. It's an ideal location for total relaxation in the midst of a peaceful environment. Here you can rediscover the soothing presence of everything that is green and natural. The beauty and tranquillity of the area, especially the lake surrounding the Resort makes one feel that he is part of nature. After buying our tickets at the main ticketing counter at Marina Village, we ventured to the main jetty to await our ride to Orang Utan Island. The small tropical island is in the middle of the 7,000 acre freshwater lake where a number of orang utans are kept in their natural habitat (well, almost!). Boats leave every half an hour and it�s a 10-minute ride across the lake to the island. The Orang Utan Island is exactly that � these intelligent primates literally have the run of the place. In a twist, it�s the visitors who will have to spend time in a cage, a 100m-long �cage tunnel� to be exact, to get an up close and personal look at the orang utans as they roam free here. 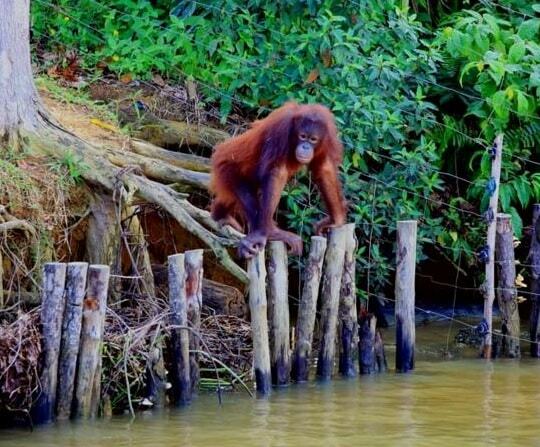 There were 19 orang utans when we visited the island, with four of them being island-born. The island is 14ha (35 acres) across wide but only 2ha (5 acres) of it is used as a rehabilitation and preservation facility. This programme aims to develop and promote orang utan conservation, propagation, research education and eco-tourism by making the island into a breeding sanctuary for these animals. Having your photograph taken with one of them is an explicit part of the tour. You will be led into a caged tunnel walk that confines you, not the orang utan. From the cage you can the orang utans playing "outside" the cage in the thick forest. We saw 1 or 2 of them even climbing up tall trees, most of them are close to the cage edges where you can see them. They do have call names as told by the guide. During feeding time, the food given was mostly of fruit types, although one of the orang utans got a special treat a canned drink. Bukit Merah advertises having "Lunch with the Wild Man of the Forest". The orang-utans are made to stand and pose with visitors, and the staff ensure no photo opportunity is missed. 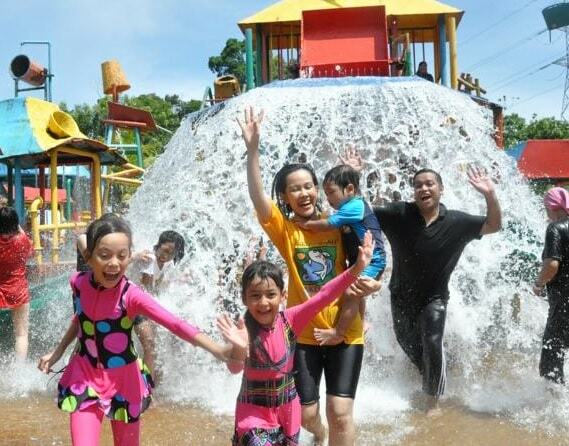 �We are just into the fourth year of this programme,� said Bukit Merah Laketown Resort general manager Calvin Ho. �The average rehabilitation programme takes up to five years. We teach the baby orang utans how to climb trees, forage for food in the wild by planting fruits at various places � whether up on trees or on platforms. �The whole island is dedicated to the orang utans and future plans foresee these primates roaming the currently unused part of the island that is �wild�. This will be the ultimate test for the rehabilitated orang utans - to be able to survive in the jungle without human intervention whatsoever. 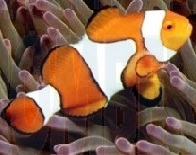 Ho also said the orang utans are from Sarawak and most of them are �problem children�. 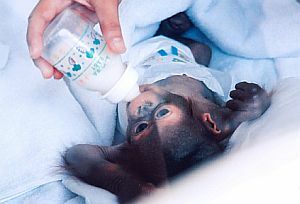 Some were caged by their previous keepers because of bad behaviour, while two baby orang utans were initially kept as house pets in an apartment. The orang utans that were treated as pets have been rehabilitated so they can live like � well, orang utans. Tasks such as climbing trees, which you would think came naturally to these primates, had to be relearned. The Eco Park is located on the calm tranquil shores of Bukit Merah Lake, within a beautiful natural environment. 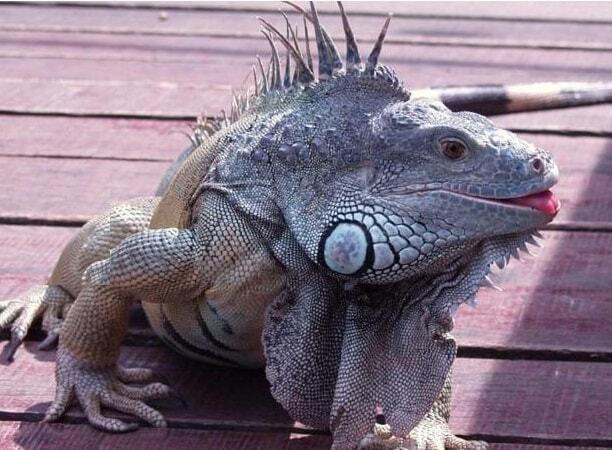 It is the ideal eco-tourism holiday destination, where you can experience nature, with eco-friendly animals. Among the unique attractions at the Bukit Merah Laketown Eco- Park is the educational walk-in enclosure. There are more than 60 species of local and exotic birds, different species of reptiles and colourful butterflies to be photographed and admired. Enjoy the unspoiled greenery of the rainforest from the 400 meter raised jungle boardwalk, or stroll along the nature trail. See Bawean deers and other animal communities and listen to the exotic sounds of nature. Take the North-South Highway and use the Bukit Merah Lake Town exit. 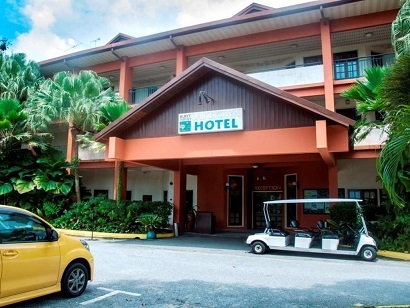 The journey to the park is approximately 35 minutes from the Penang Bridge and an hour from the City of Ipoh. If the Federal Trunk Road is used, it takes approximately 75 minutes from the Penang Bridge and 45 minutes from Taiping.